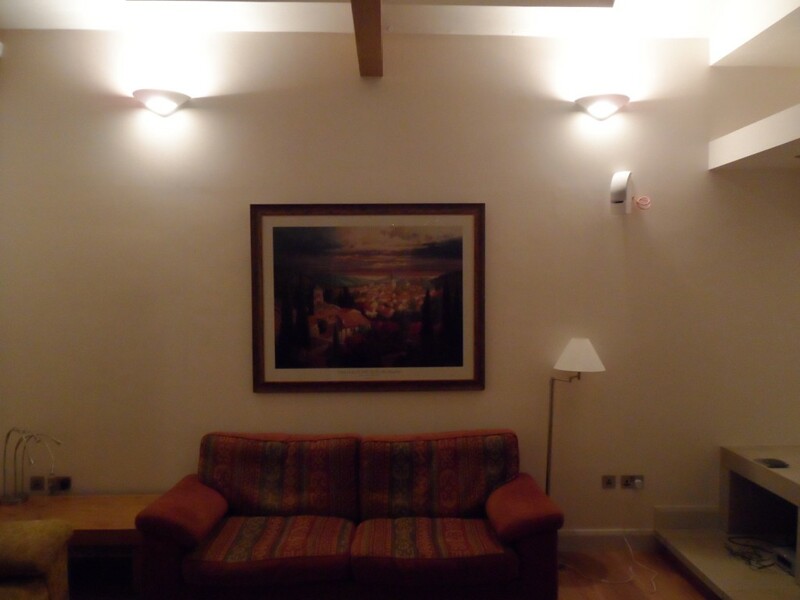 As well as installing the carbon monoxide detectors, we have also installed some new lights. Until now, we have had some bare wires sticking out of the wall (safely terminated, of course). We had been waiting to find the right lights and we struck lucky a couple of weeks ago in John Lewis. 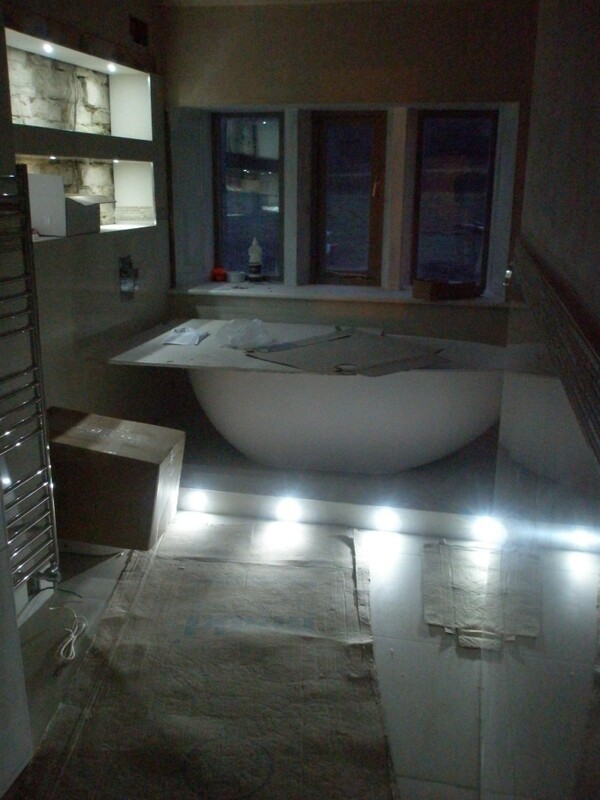 We bought a couple of Tessa uplighters for the lounge and a small waterproof bulkhead light for above the shower cubicle upstairs. Two of these have just been installed in the lounge. These are Tessa plaster wall lights from John Lewis. They can be painted, but these are left just as they came out of the box. I don’t really like this photo much, but if you turn the flash on it doesn’t help and if you take the photo with the lights off, that doesn’t work either. Anyway, hope you get the idea! Tessa plaster wall uplighters from John Lewis. We fitted the carbon monoxide detectors today. 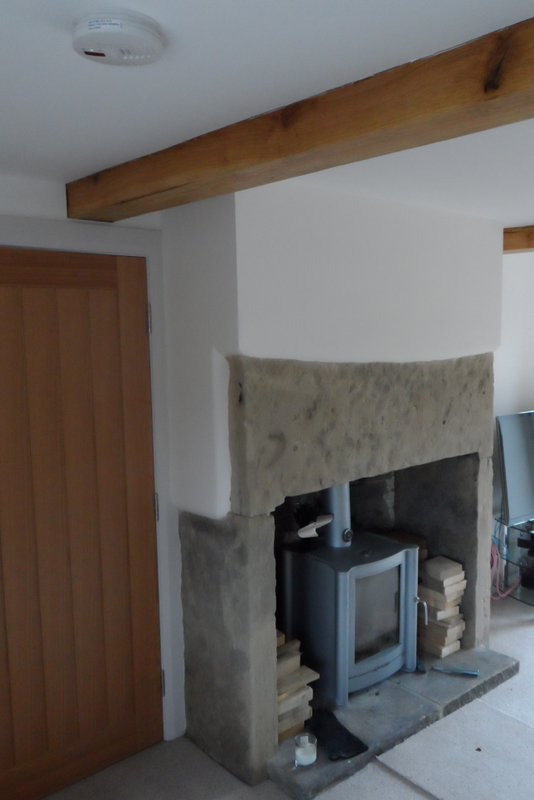 These were installed into each of the rooms where there is a solid fuel (i.e. log burning) stove. The units have to be main powered and linked into the same circuit as the heat and smoke alarms elsewhere in the building. We took quite a bit of time looking for half decent units – a number of the units were large and chunky. These units from Kidde just look like a smoke detector. 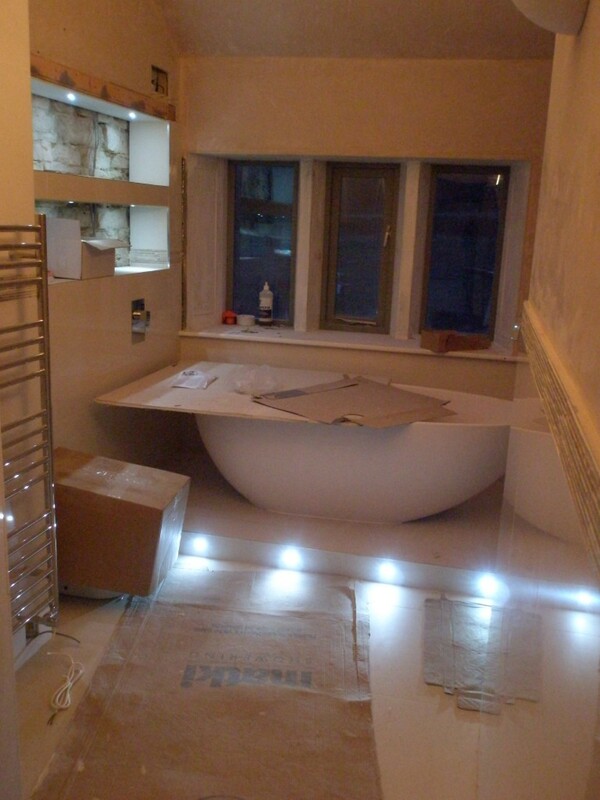 They were around £40 each and were supplied by www.discounthomelighting.co.uk. If one of the heat or smoke detectors is activated, all of the connected alarms will go off. These CO alarms will display “FiRe” on their LED display. 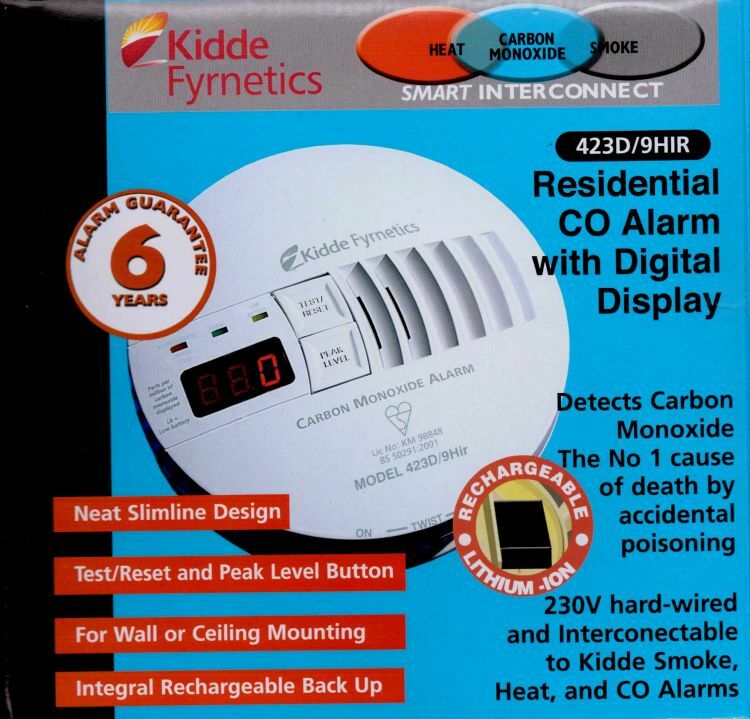 If one of the CO alarms detects carbon monoxide, all of the connected CO alarms will be activated. To comply with the latest building regulations, carbon monoxide detectors need to be fitted in rooms where there are solid fuel stoves. With three log burning stoves, this means three detectors. They also need to be hardwired into the heat and smoke detectors in the rest of the building. 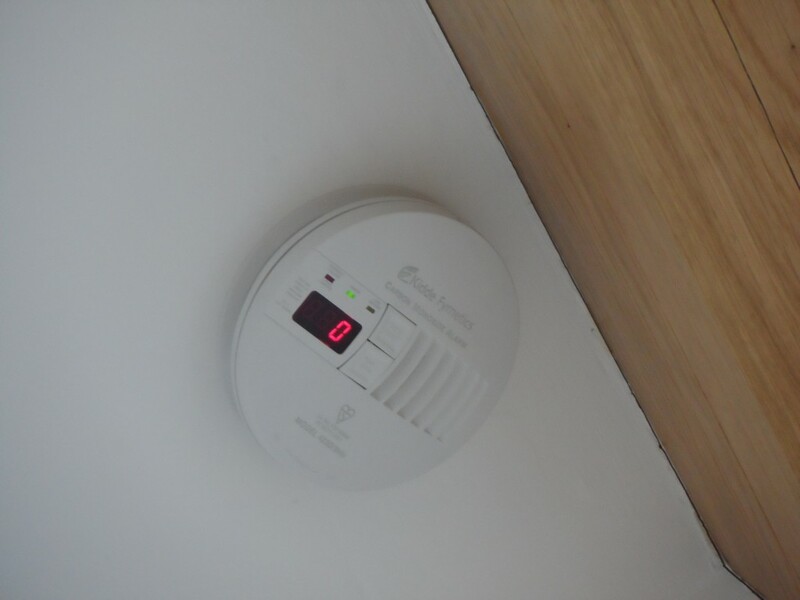 One of the three carbon monoxide detectors that have been installed today. This one is in the snug. The log stove is a Firebelly FB1. Viewed from underneath there is a red LED display that shows the parts per million (ppm) of carbon dioxide. Unsurprisingly, it has a reading of zero. 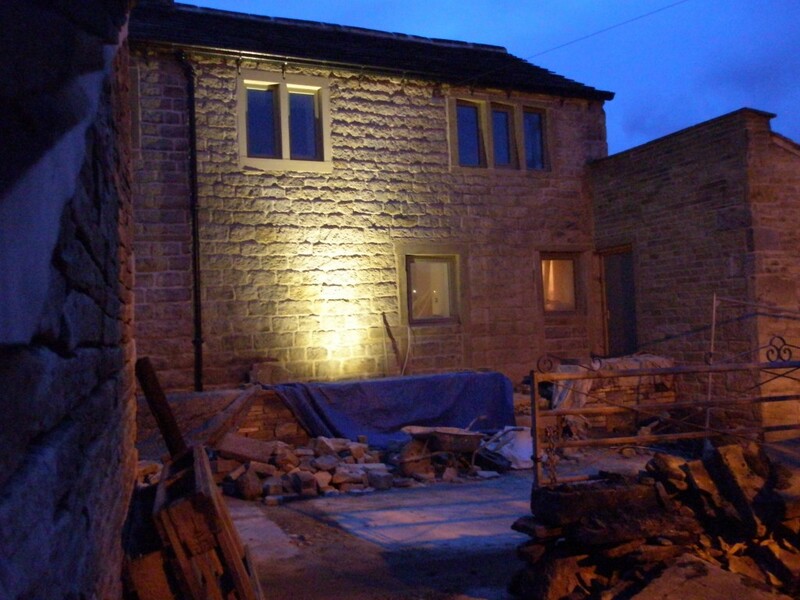 While we have been sorting out the small wall at the front of the property, we are also sorting out the uplighters that will light up the front wall at night. This has been a little more involved that I first imagined. There seems little point in shining light onto the wall directly underneath a window – it isn’t going to show any texture on the wall and it is only going to shine light inside. So we have decided to place the lights evenly under the parts of the wall without windows. I think this should work, but I am worried that the lights are not evenly spaced. The next concern was how far do the uplighters have to be from the wall to illuminate the wall. This obviously depends on a number of factors – type of light, type of lamp, distance between the wall and the lamp etc. The only really way of finding out what it might look like is to try it! 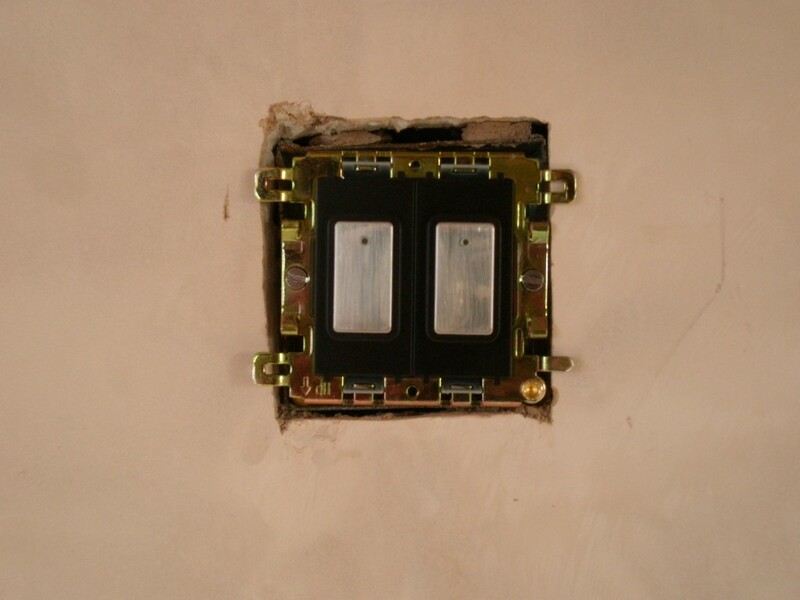 With that in mind, we put a plug on one of the lights and experimented with how far away it should be from the wall. This shows the effect of one external light positioned about 50cms from the base of the way. 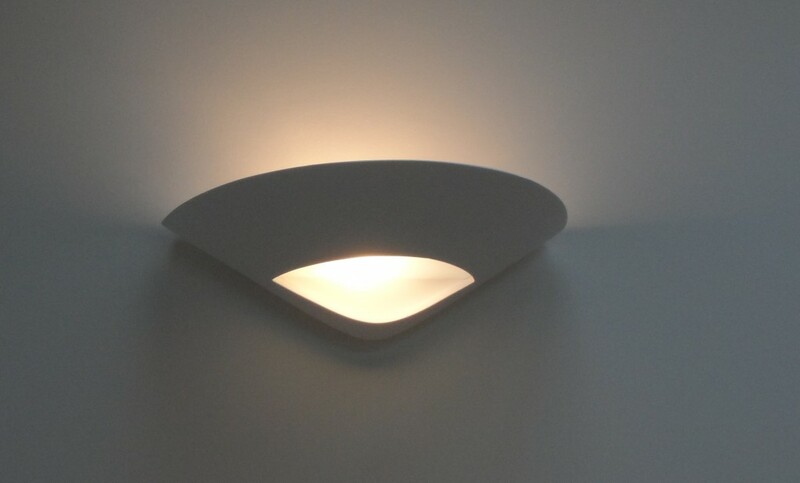 This is using a 5W LED lamp with a 45 degree spread. We will position 5 lights along this wall to show up the texture of the stone. We are using Robus uplighters. The building inspector came around yesterday and everything went well. We have one more visit due. This is when the building work is all finished. Usually before moving in. On his way out, he mentioned that one of the things that they would check on final completion would be the carbon monoxide detectors. Apparently, we need a carbon monoxide detector in every room where there is a solid fuel stove. It can’t be a standalone one (those cheap battery operated units), but must be connected into the same circuit as the smoke detectors. This is a bit of problem since some of the ceilings have now been plastered. The electricians have had to cut a couple of holes in the ceiling to pull a new set of cables through. It could have been worse – the rooms could have been decorated! We are progressing well with the first fix electrics in the new extension. These will need to be completed before the plasterers can start in this part of the building. I reckon the first fix will be finished by the end of the week, leaving the building clear for the plasterers to start next week. 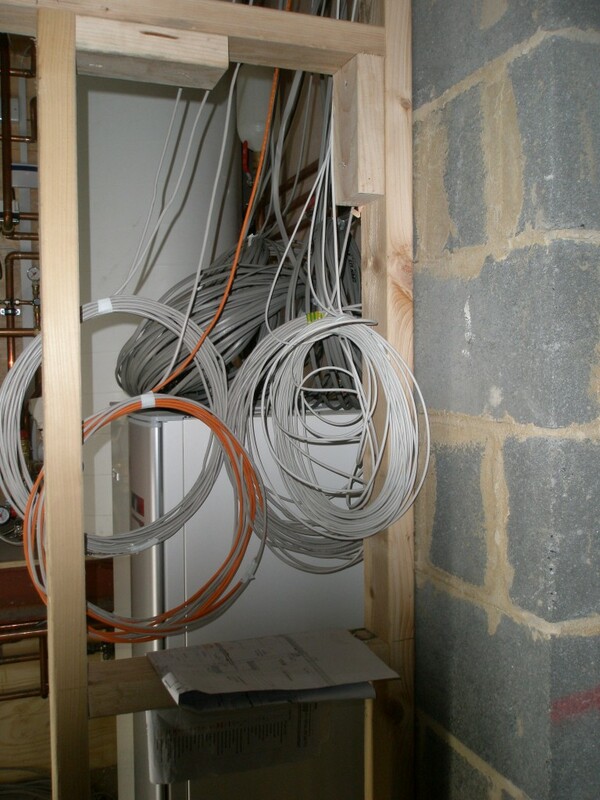 Although it was only a couple of months ago that we did the first fix on the older part of the building, I had forgotten exactly how much cabling is involved. The answer? Lots and lots. I was going to start counting exactly how much, but it was just too difficult. 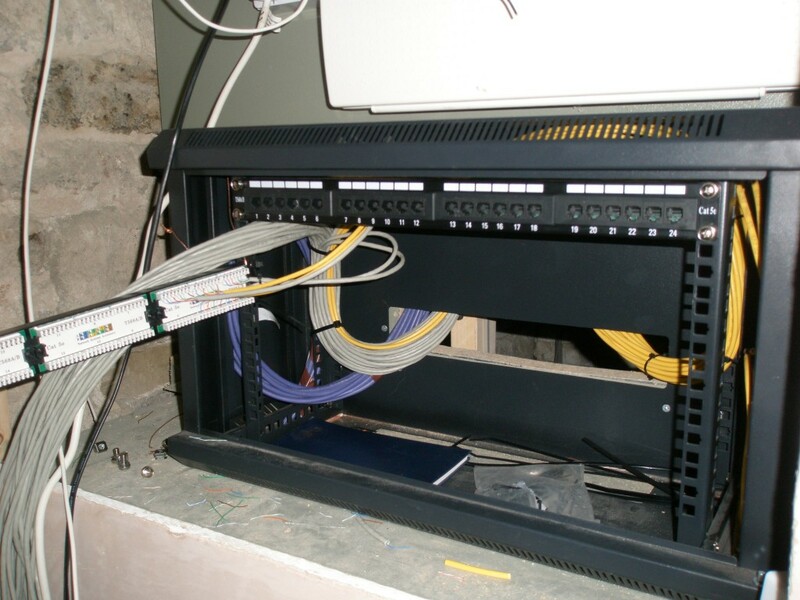 There is Cat5 cabling for all the light switches, mains cabling for the sockets and power to the lights, cabling for the alarm PIR sensors, Cat5 (again) for the telephone and data points, co-axial for the TV and some Cat6 for satellite. 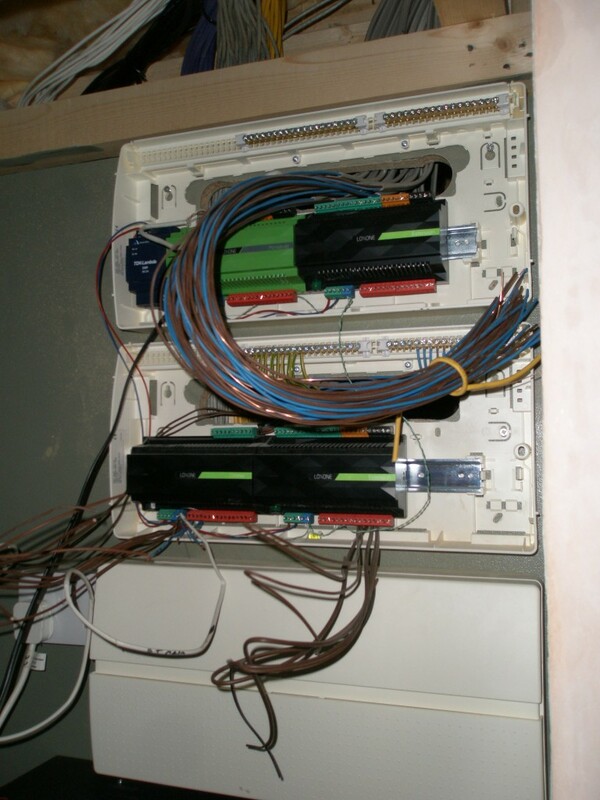 There are also some odd cables around the place for things such as electric door latches, luminence sensors, temperature sensors (both indoor and outdoor) and some cables for thermostats (one in every room). Phew! That is a lot! The other half of the lighting computer will be in the plant room along with the ground source heating pump. 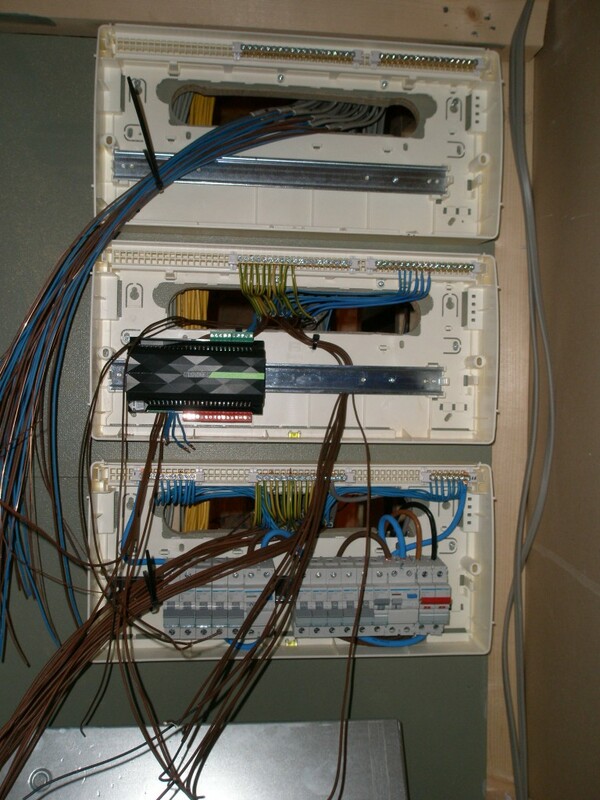 Hence all of the wires end up terminating here. Bundles of wires waiting to be connected. Cat5 for all the light switches, mains cables for sockets and power to the lights, cabling for the PIR sensors for the alarms, Cat5 (again) for the telephone and ethernet. We haven’t pulled through the co-axial for the TV and the CAT6 for the satellite yet. It all adds up to a lot of cable. 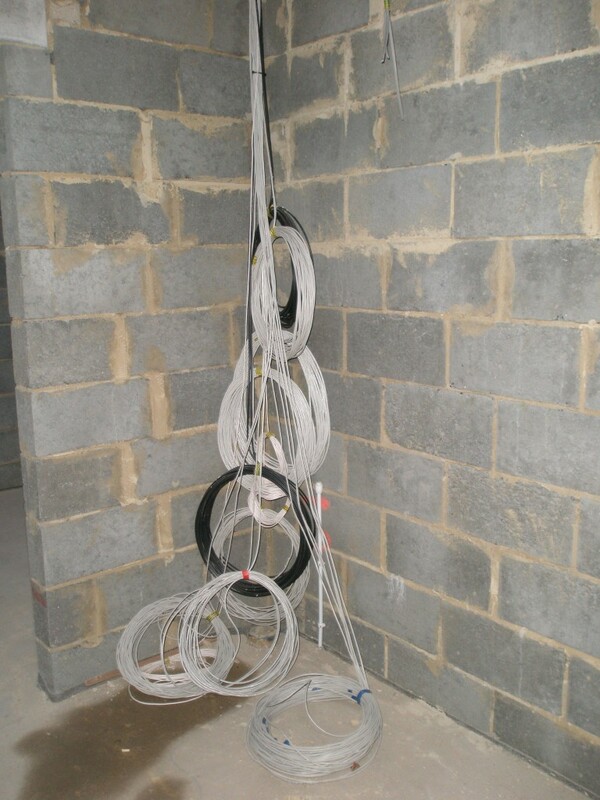 These cables are waiting to be pulled through into the plant room and connected to the main distribution boards and the lighting computer. The storms yesterday took its toll on our electricity supply. We seemed to be operating on a reduced voltage from about 3:30pm yesterday afternoon. By 6:30pm, we had lost power altogether. It was finally restored at around 2am. 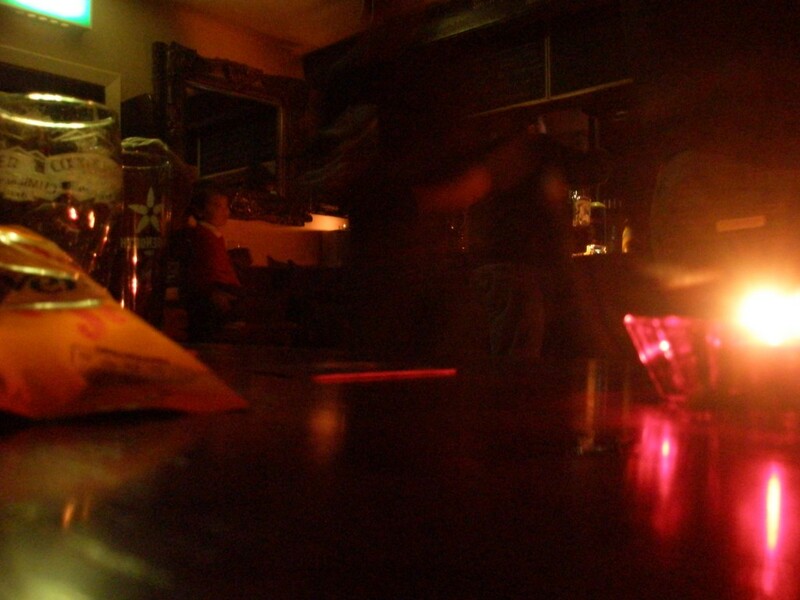 In the meantime, the local pub is always a good refuge in a power cut. It must be what the pub was like a hundred years ago. The only light is from the emergency exit sign, the open fire and a few candles. But the pumps still work! 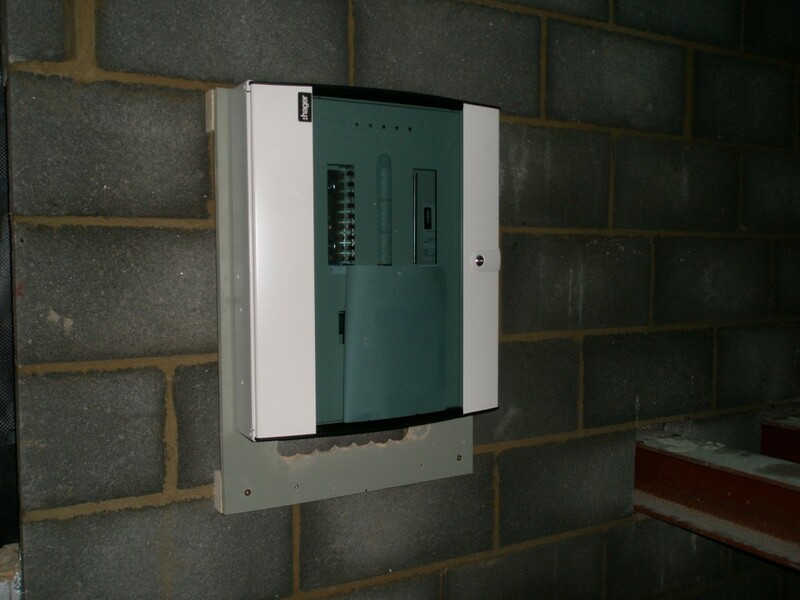 We need three phase supply for our ground source heat pump. 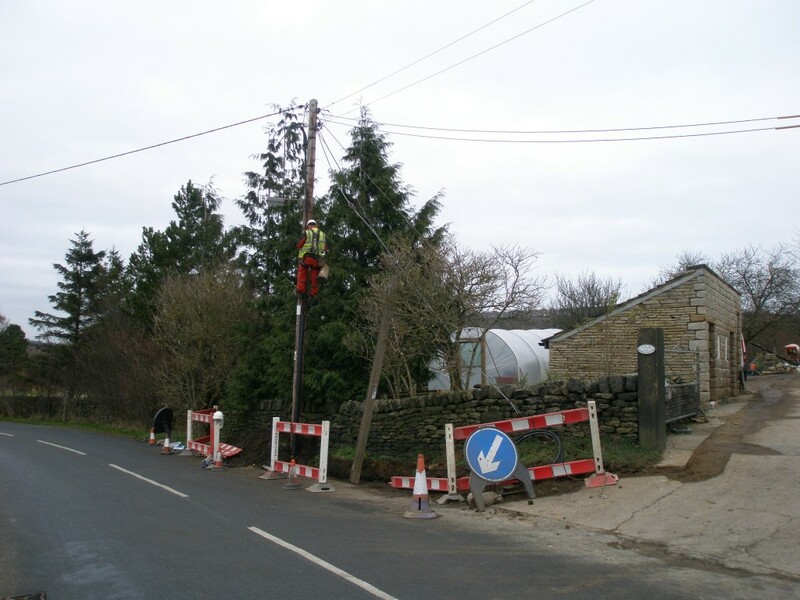 The supply was installed today and the existing overhead cables and the supplies to the two previous properties were recovered. We dug the trench from the front to the rear of the property. Do make sure that you read the details carefully about how the trench – and the conduit – need to be laid. It took the best part of a day to pull the cable through, connect it to the supply on the pole and make the joint into the cable for the house. 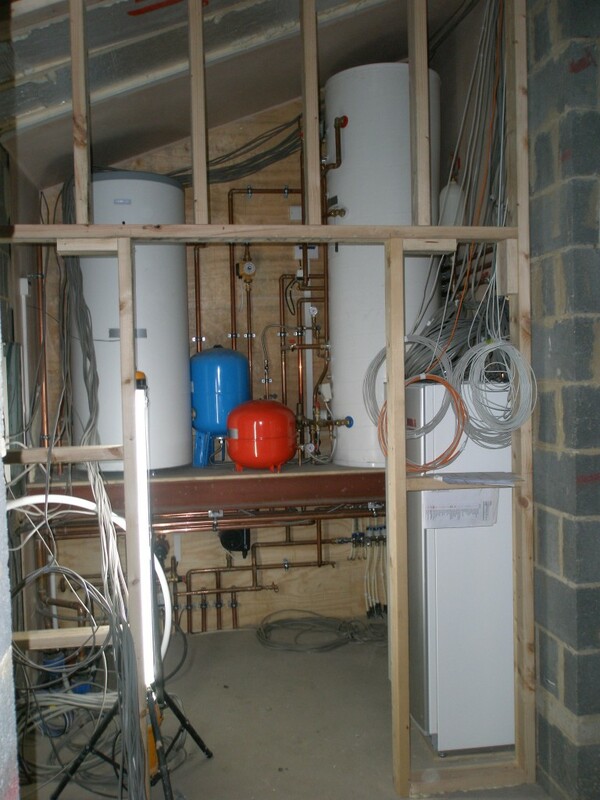 We need a three phase supply for the ground source heat pump. Fortunately for us, the pole outside the property had a three phase supply.